Now I really like this pv. Its atmospheric and unusual and works well with the song.I'll talk about the song later, but for now lets focus on the visuals with... you guessed it....CAPS! Really impressed by the visuals. Good enough to be a movie! It's the return of the butterflies!! ZOMG he is messing his hair!!! Wooooo!~ Ueda sure is giving it socks! Right then, onto the actual music of the album. The lead track on the album and it's easily my favourite song on the album.It starts with a lovely string instrumental. I'm a sucker for voilins in jpop. This is ended by an eerie gothic bell toll which eventually breaks into the main midevil instrumental. 1 and a half minutes into the song and everyone has already been given a line. The chorus is great, energetic and with the voilins in the background, its very atmospheric.This song incorporates Koki's rapping, yuichi's beat boxing and a small bit of autotune near the end, all of which work very well in this song. We are also given an insight into Ueda giving a bit of his singing power into the song, which I found very pleasing. Sone of the english bits are hard to understand, especially after the "I don't wanna lose you" bit. 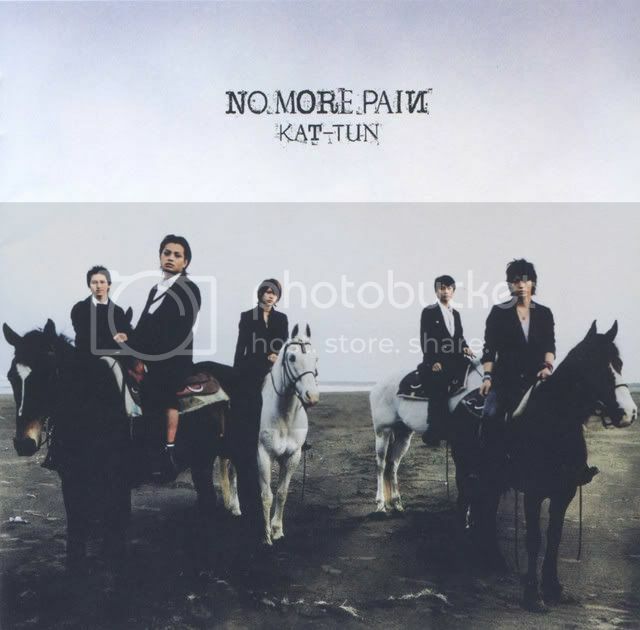 This was KAT-TUN's 11th single, the a-side of which was used for kame's drama. I like this song, albeit not as much ad THE D-MOTION but has a nice rhythm to it and its the first single of their's which incorporates the autotune thing. At the start I liked it, then I didn't, then I did again. Its a good song but lacks a bit of punch, its kinda soft if that makes any sense? This the first of the slow type songs on the album, but unlike most slow songs...I like it.Its a slow song but its not sang in a ballad type of way, plus it has a bit of a beat in the background which elevated slightly at the chorus. A very nice song which can properly show their songing ability. Yuichi must have had a beatbox surplus that built up and spilled into this track. Nah I'm only joking, I really like his beatboxing an the start is a very cool mix of beatboxing and voice manipulation....very techno robotic. It is along the same lines of THE D-MOTION which is why they placed it after it I suppose. I like this song, but I wouldn;t want too much of the voice alteration in a KAT-TUN album. When I first heard this song, all I could think of was ARASHI! It sounds exactly like a song that arashi would put it. Its the same kind of guitar work and arrangemnet and singing style of arashi's songs. I actually don't know what to say about this song besides that its exactly like listening to arashi....which isn;t a bad thing, I like arashi and they are very successful, but I wan't KAT-TUN on a KAT-TUN album. Already wrote my thoughts on this Here. This is the 1st of the solo songs. This is Kame's. I don't really like the way he sings in this song, and the instrumental is pretty bland, but it does show off his singing prowess. This is Taguchi's solo song. Its always interesting to hear his solo songs, this one is a sort of rnb/hip-hop ish. At the start I thought it was Yuichi doing the ooooh's. I quite like this song, as he has such a distinctive singing voice within the group, but listening to the solo allowed me to hear more of what he is capable of. Its the return of the raunchy named song as Koki takes on this great song. I really like the song but the starting and ending are just really weird O.o.... listen for yourselves. Its got an arabian hip-hop vibe to the instrumental.....yes I did just describe it as arabian hip-hop. This is one of my favourite solo songs on the album as its a bit dirty and I really like the way koki sings. We dont usually get to hear him actually sing on his own, so this is a nice treat. If koki's is one of my favourite solo songs on the album, this would be the other. This is Ueda's and its got the most rock like feel out of the lot. It suits him, though in the title I can only imagine him being a rabbit poor lad. The song also uses a radio effect in his voice which adds a nice bit of variety. My view of Uebons singing went up after listening to this and N.M.P. The last of the solo songs, and this is Yuichi's. This aint a bad song either. Its somewhere in between Taguchi's and Kame's in terms of energy. Its an ok song, definitely an album track. Might be nice to listen to while driving in a convertable in the sunny weather. Its the big group ballad at the end of the album......awwww. Not a huge fan of ballads but this is ok.
Whoot, last song on the album and they end on an upbeat note. "RRrrrrrrrrrr HELLO!!" Lots of clapping for the instrumental of this song. 2 thirds of the way through though it kinda turns into SIX SENSES from Queen of Pirates. Overall: A good album, with a grear lead track, some good solo songs, and nice vocals all round. There is good news in my blog. Revolution 30 Swingman Jersey According to Xu Jiayin classmates proclaimed Chinese dream world the heart , the future will be the whole class lineup Hengda battle arena , since it is a whole class , the coach of course, should the Chinese people , at least is the Chinese nationality . Outlook over the local coaches , did not seem a pleasing to the eye , since it has been attendant in Tie Marshal year , is naturally the first choice. Talk first, Xu boss and where the Marshal Peng Weiguo jointly cleared after local big Tyrant , need a local coach to decorate the facade, someone recommended a Tie . Liao Xiaohu as a former leader of the main striker , and the footprint across from Brazil to England 's elite Liuyang , iron child 's experience table dazzling enough , the most important is that he and former Guangdong Guangzhou Football Association football or nothing to do , it makes promises, in two elders were satisfactory, Liao Li Tie to enter Guangdong football . In other words , Li PC is the product of chance , like the heavenly politics , the need for political correctness , the total use some " young women " When a deputy mayor , vice chairman of tokenism , as there is not a Marshal this sub talent Bing finds differences, prepare carefully cultivate future reuse. custom wedding gown In fact, a write two Li, Li Tie Lippi did not know the original . Lippi team works are not at Chinese style , decided by the Third Plenum of the endless big government small, usually care about style restaurant , Lippi and his old partners in the decision to drink and chat in the playing squad and "decapitation program ." This old -style gatherings, Li Tie as outsiders should not be inter-generational opportunity to participate in , Zero feelings, learning where Marshal HC Wineur time is not much , at least not so many outsiders imagine . How Peng Weiguo , as the original Lee Jang group, a coach Marcello Lippi to these world-class , Asian -class coach in the end to learn the recipe for it ? In fact, the problem is not a chance . South Korea and Japan in recent years, a large number of host young coach , especially South Korea , and even into the account from the coach to the league championship coach seats , including most of the mainstream , there is of course a Korean-Japanese economic downturn , but also in professional football sound financial under the constraints , please do not move European and American big coach factor. Undeniably, Hong Myung-bo , Cui Liao Hua Pearl also does not charge pioneer, more non- perennial losers . Hanjiang campaign, such a major competition is so fierce defense conversion , Cui Dragonball grasp on the war quite calm and sophistication ; while in the recent Asian Cup, Hong Myung-bo although the new government took office and local operations , but also even poorly to debutant , experimenting with new array decisiveness is very atmospheric . Evening Dresses USA In contrast, with their contemporaries Chinese football people , the gap is very obvious, and then from the ability to qualities of mind, the realm of the full gap. Is not no chance , Hao Haidong , Fan Zhiyi have worked for the coach , which also took off his shoes Hao Dong put on the shoes, served as coach of Dalian eight weeks , Fan Xu Genbao great general has also been entrusted with the task of the whole operation coach , but they do not have a satisfactory , or even make people think there is no one can continue to pay tuition value.